Today I’m here with a list of the best video player for Android 2018 Edition. From old centuries to new centuries every person needs entertainment in their life. And for entertainment people does various things like listening music, watching movies and videos, etc. A few years back when people wanted to see movies, then they would go to the film shop where video CDs and DVDs were sold. People purchase those CDs and then plays it in the home CD player and enjoy the movies. But after the invention of smartphones, the selling of CDs and DVDs has become obsolete. Now for watching films and videos, people use their smartphone which provides better features and delightful experience. To play videos and movies on your smartphones, you will need a video player app. These best Android video player apps can help you to run your movies smoothly with almost all the videos to any format. People own a smartphone mainly for watching movies and videos. The inbuilt media player app that comes with the android phone does not have the ability to play all types of video formats. Therefore, it is a better idea to have the best video player for Android which can play all formats. 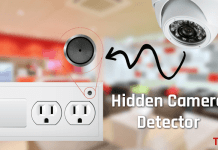 You can also check the best hidden camera detector apps to protect your privacy. Before going to the main topic, we should first know what is a video player? The video player is a computer program or application which is developed for playing multimedia files such as AVI, MP4, 3GP, FLV, HD, and MOV smoothly without any hassle. 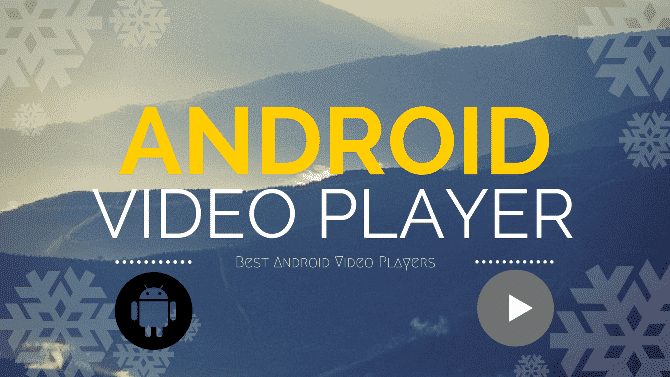 There are tons of best free video player for Android available on the Google Play Store. There is always a little bit confused at the time of choosing best Android video player which is best suited for your device to run videos smoothly. In this article, I have given some all format video player for Android in details which will help you to play any videos on your Android device. MX video player is one of the most popular video players for Android free download and a great way to enjoy your movies. It is the first Android video player that performs multi-core decoding. You can download MX Player Custom Codec with DTS and AC3 Support to play dual audio movies. It is available on Play store, and it is completely free, anyone can download and install it on their Android device and can enjoy videos of any format without any trouble. With its support for most video formats and excellent performance, MX player stands out as a high-quality app for Android. While playing video, you can look for different options like play, display, subtitle, and other tools. The best thing is that it is very simple to use which is great for both new and advanced users. The VLC media player is a free and open source cross-platform multimedia player that plays most multimedia files. This is the best video player for Android Lollipop and Marshmallow devices. The VLC media player is vastly popular and trusted brand on Android. VLC has a media library for audio and video files and allows browsing folders directly. It supports all video format and all subtitles. It supports autorotation and gesture to control volume and brightness. It provides many features including an onscreen lock for accidental pause or stops a video from playing. BS player is another best Android video player 2018. It uses hardware acceleration for smooth video playback with less battery consumption. It supports almost all media files such as mp4, mp3, MOV, 3gp, Mkv, etc. 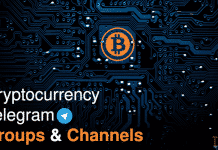 and streaming content such as HTTP and RTSP. It contains an inbuilt subtitle finder that helps you watch movies with much better comprehensibility. It also has various touchscreen gesture for play, zoom, seeks and volume controls. It also provides a feature to lock screen to prevent accidental change of videos. The BS player free version is an ad-supported video player and its full version without advertisement with added functionality is available on Google Play Store. Mobo player is one of the best and free video players available on Android market. It is the best Android video player for live streaming which is great for both playing online and offline videos. The best HD video player for Android which can play all formats. It supports almost all video formats, multi-audio stream and multi-subtitle with hassle-free. This app will allow you to watch you any videos on the phone and without conversion anytime and anywhere. It gives you best playback experience and quality. It supports a floating window mode for users who quickly need to shrink their video to access something else on their device. Feather is one of the most popular video players on Android that allows you to watch any video file. It is a very simple but powerful video player that supports video files with multiple audio or subtitle tracks. Feather has all the foundational elements that are expected of a modern video player. It lets you adjust image brightness, raise or lower the volume and change the screen ratio all with gesture shortcuts. Users are also able to view their favorite movies in their languages by simply choosing a suitable audio track. GPlayer is innovation and free video player for Android phones and tablets. The best feature of this player is the floating window feature which means you can do much more while watching videos. You can watch the video and do something else at the same time. You can also play with full screen or minimize the playing video to the system notification tray. It supports subtitle when you play a video file. You can also customize themes as you wish to change the look of the player. It also supports audio formats such as MP3, WMA, etc. 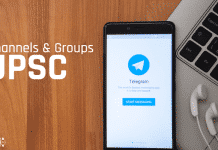 The cool feature of this app is Group Media Sharing that allows the device to share the media files with your friends. The free version of GPlayer has all required features, but you can buy its pro version to get an ad-free experience. mVideo Player is a popular free and one of the best video player for Android Lollipop. It does not have a lot of the features like many other video players do, but it works well. It has a beautiful interface where your movies, tv shows, and personal videos will be separated into different screens which are the best-designed user interface of any video app on this list. You can save bookmarks in your videos so that you can continue where you left off. It supports high-quality videos with built-in subtitle support. It supports most of the video formats such as mp4 and 3gp because it is the best video player for Android tablet. KM player is often counted as the top media player for Android device. KM player is built for today’s smartphone users, all for free. It not only allows the users to play the media on their devices but also allows video streaming in high quality. KM player supports HD videos, more than 30 languages, multiple audio tracks, and subtitles. It has a floating screen that allows the user to continue watching your video while sending a text or browsing the web which makes it a good multitasking media player. KM player is optimized for subtitles control, and it provides an onscreen control that allows you to adjust the brightness and volume by sliding your finger up and down either side of the screen and scroll through the video. I have provided you a list of the best video player for Android 2018 edition that will surely work correctly on your Android device. These best Android video players work perfectly on KitKat, Lollipop, and Marshmallow devices. If you like this article, then feel free to comment below.